SIOUX CENTER – Take a stroll. Read a favorite children’s book. And do fun fitness activities. You can check all three items off your list by participating in a Story Walk with your children at Children’s Park in Sioux Center. at Children's Park in Sioux Center. “Curious George Plants a Seed” by H.A. Rey is posted page by page in English and Spanish on 15 signs along the recreational trail in the park. Each sign includes a family health tip and suggested activities, ranging from lunge walk steps to karate kicks, that participants can do while walking roughly 20 steps between each sign. The signs – which were prepared by the Sioux Center Community Group, which is under the umbrella of the Coalition for a Healthy Sioux County – will remain up at the park through Tuesday, June 2. 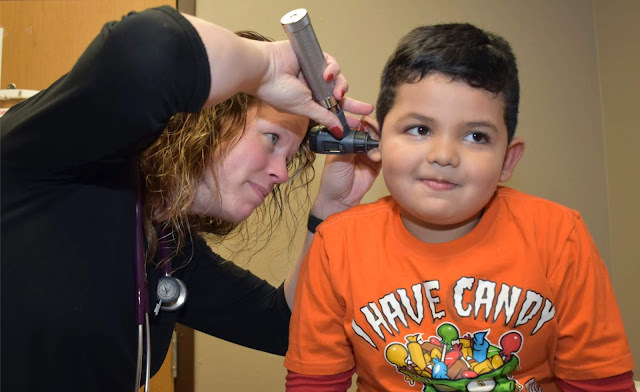 “This was just another way for us to get kids out and moving and to give something for families to do,” said Brittany Hamm, clinic manager for Promise Community Health Center in Sioux Center and a coalition committee member. Coalition for a Healthy Sioux County and the Sioux Center Community Group – both groups that Promise Community Health Center participates in – have selected childhood obesity as a focus area to address. the park through Tuesday, June 2, for people to enjoy. Story Walk projects have been, or will be, conducted in a few communities in the county as one specific project under that priority. “We each have done different books, so the hope would be that these books can rotate through the different communities so that everyone can do different ones in the future,” Hamm said. The first- and second-grade classes from Sioux Center Christian School enjoyed the Story Walk this afternoon (Wednesday, May 27), and Sioux County Latino Health Coalition members plan to have their families participate on Tuesday. Sioux Center Christian first-grader Olivia Hofland and her classmates loved it. Walk at Children's Park in Sioux Center. Anyone – whether an individual or part of a class, an organization or a family – are encouraged to stop by Children’s Park to do the Story Walk at their leisure. fourth time in five years on Saturday, June 6. SIOUX CENTER – Jeanna Negaard’s love for bicycling has been an evolution. 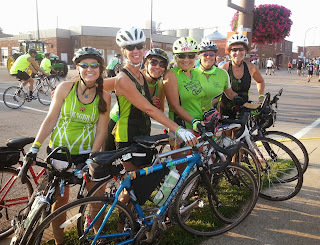 The 55-year-old rural Hawarden woman had some friends who encouraged her to start biking more than 30 years ago. She first leisurely pedaled around town. She then started going on longer rides with her friends. That prompted her to upgrade her bicycle. Then, she started taking part in more organized rides. She did one day of The Des Moines Register’s Annual Great Bicycle Ride Across Iowa in 1998 and did a couple partial RAGBRAI trips during the next few years. 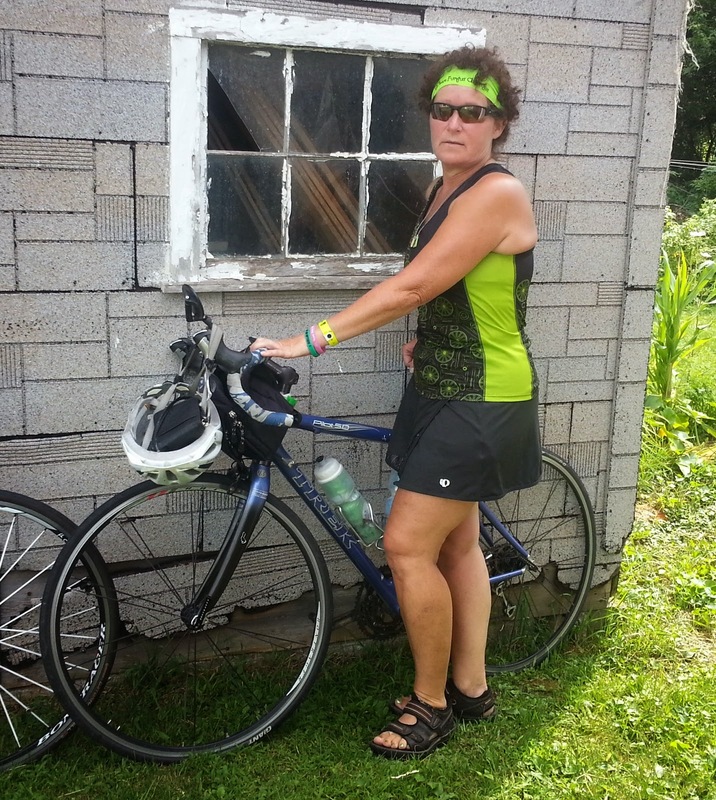 She has pedaled the full weeklong trek across the state of Iowa every year since 2005. Three of the last four years, Negaard has ridden the Wellness on Wheels bicycle ride put on by Promise Community Health Center during Sioux Center Summer Celebration and plans to ride WOW5 again on Saturday, June 6. Being out on her bicycle on the country roads has become time that she relishes. Negaard does much personal training and riding on her own, but she typically goes on organized rides with other members of the Sioux County Bike Club. They call themselves Team Fungus Amongus and wear green jerseys for those rides. They also go on a few of their own informal rides together during the summer months. 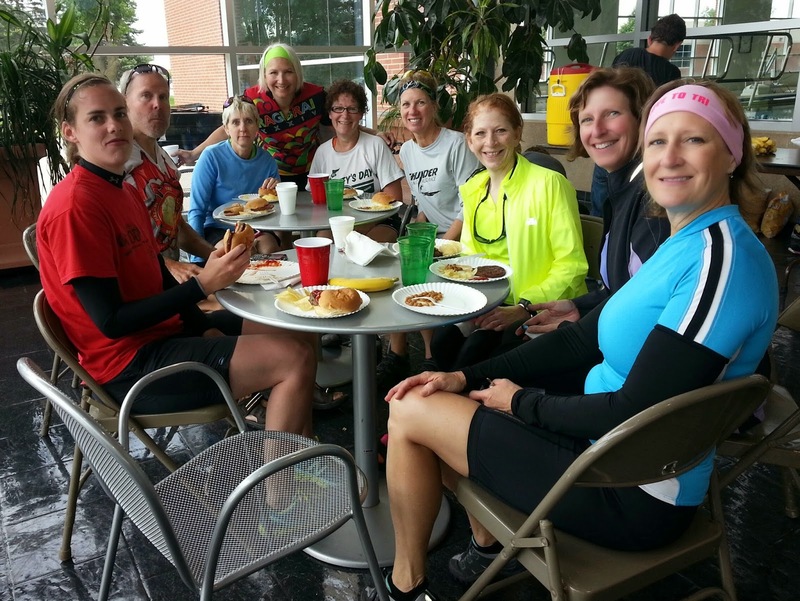 year's WOW bicycle ride in Sioux Center. They rode the first WOW in 2011 and have tried to take part every year since. She said the event is “well-organized and supported.” In particular, she noted the SAG wagon personnel who are out and about to make sure everyone is getting along OK. For example, their group had two flat tires three years ago, and help came along for them. She also likes the rest stops that are situated along the way with snacks, beverages and water. WOW has traditionally provided three ride options – a long route, an intermediate route and a family fun route. In the first four years, the longer routes headed northwest through the communities of Rock Valley, Doon and Hull. Negaard said she and her friends would have ridden the WOW ride regardless, but the new routes have increased the excitement among the group. The riders plan to tackle the 60-mile trek that will go through her hometown region. 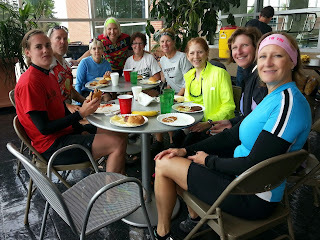 Negaard pose for a photo in Hull during last year's Des Moines Registers' Annual Great Bicycle Ride Across Iowa. Their group plans to ride WOW5 on Saturday, June 6. She encourages other bicyclists also to check out the WOW ride. Negaard, who is a registered nurse at Hawarden Regional Heathcare, also thinks people should give bicycling a try. The fifth annual Wellness on Wheels (WOW5) bicycle ride in northwest Iowa will be Saturday, June 6, during Sioux Center Summer Celebration. Promise Community Health Center puts on the event with many great business sponsors. This year’s event will feature longer distance 60- and 30-mile routes and a 6-mile family fun ride. It will include a complimentary T-shirt, a Casey’s breakfast pizza meal and prize giveaways. Early-bird registration period runs through Monday, May 25, but registrations will be taken up until the start of the event. To register online, visit wow5.eventbrite.com. For more information or a paper registration form, visit www.promisechc.org or call 712-722-1700. 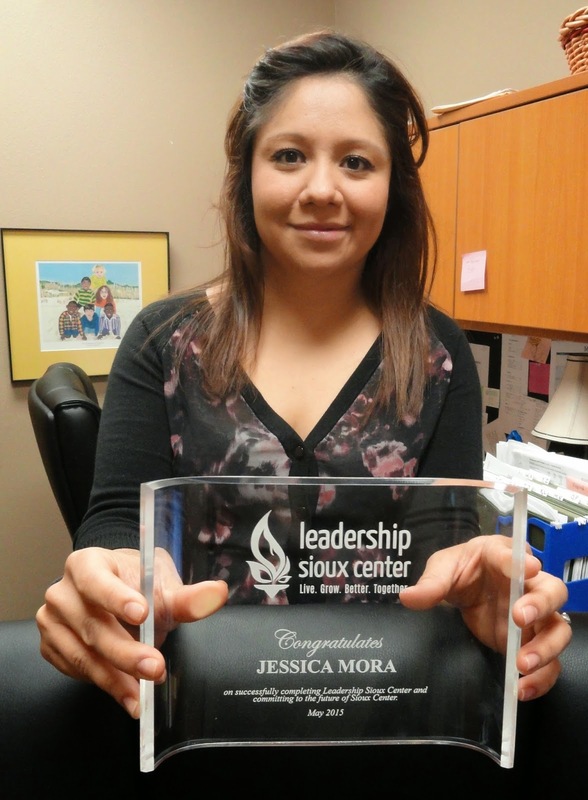 SIOUX CENTER – Jessica Mora learned leadership skills and built connections that will help her be a future leader in the Sioux Center community. the Leadership Sioux Center graduation ceremony. 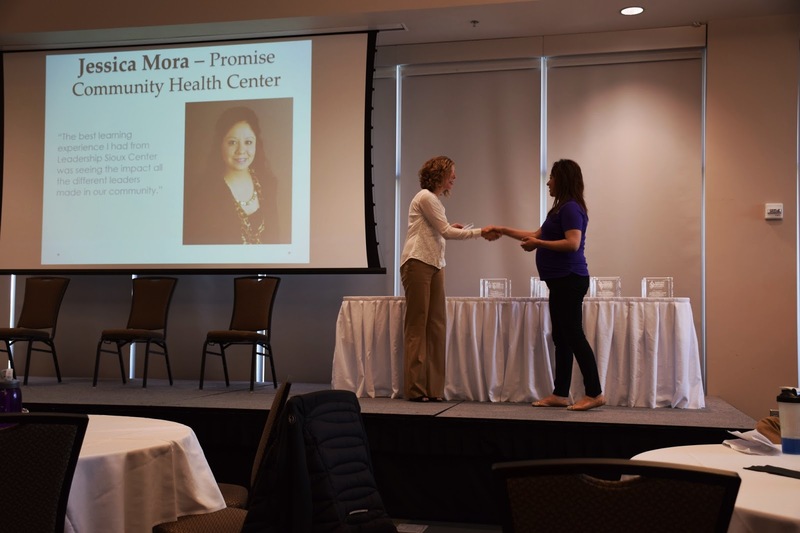 The community care coordinator for Promise Community Health Center and 18 other young community leaders were honored at a graduation ceremony Wednesday for the inaugural Leadership Sioux Center program. The program involved eight, eight-hour educational sessions that were conducted once a month at various locations in the community since October. from the Leadership Sioux Center program. 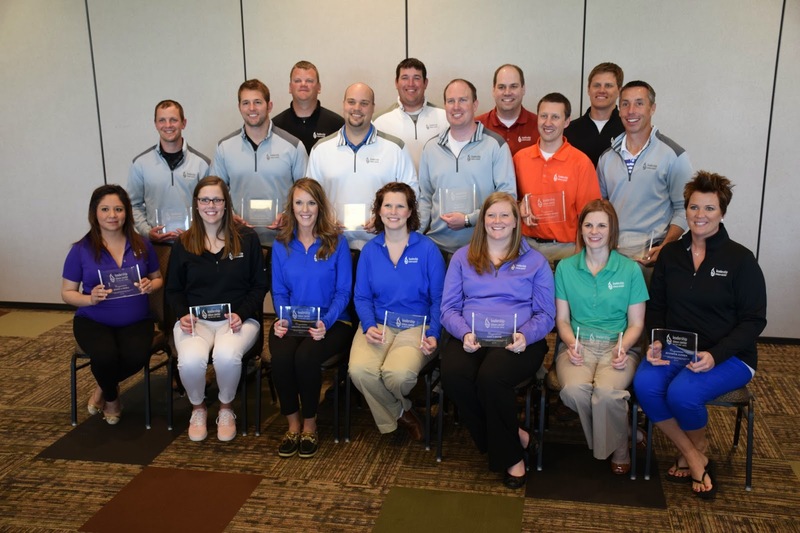 During the graduation ceremony, Cory Gotto, one of the program organizers, said Leadership Sioux Center grew out of a conversation among city and chamber of commerce officials about how the community has experienced much success over the years through a foundation of collaboration and visionary leaders. They wanted to sustain that environment so Sioux Center can continue to progress in the future. Thus, the seed for the leadership training program was planted. “We felt we should start a program that identified and connected our future leaders to each other and to the present and past leaders that have gotten us where we are today,” Gotto said. Mora applied for the program after Promise executive director Nancy Dykstra and clinic manager Brittany Hamm talked to her about the opportunity. “I just thought it would be a great opportunity – just learning from different leaders and about different things going on in the community,” she said. The participants were briefed on Sioux Center’s history and growth. They took part in various group challenges and exercises to help them build their leadership skills. They toured different locations in the community, including health-care facilities such as Promise, agricultural and industrial operations, schools and local government offices. They gained greater insight on diversity and other issues. Mora said she only knew two other participants going into the program, but now she has a network of people she can collaborate with. Mora thinks those connections are important. Mora first worked as a receptionist and interpreter for Promise for three years, 2009-12. She assumed her current role as a community care coordinator when she returned to Promise in October 2013. SIOUX CENTER – How healthy are you? Promise Community Health Center will help you answer that question. low-cost and free screenings, information and more. And you will get a chance win a valuable prize that any family would love and would help improve your family’s health going forward. 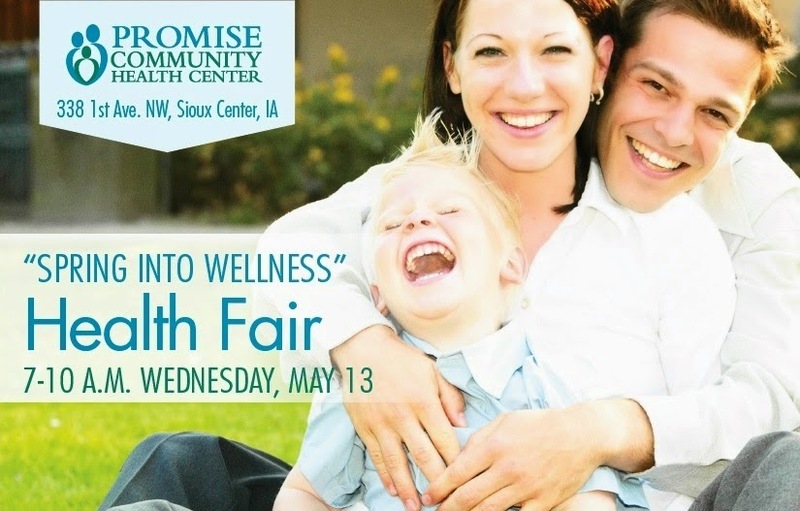 The health center, located at 338 First Ave. NW, Sioux Center, is planning a “Spring into Wellness” Health Fair for 7 a.m.-10 a.m. Wednesday, May 13. The event will offer low-cost and free health screenings; various health, wellness and nutrition information; and a drawing for a chance to win a yearlong family membership donated by the Dordt College Recreation Center – a $380 value. a prize at the "Spring into Wellness" Health Fair. Promise will offer cholesterol and diabetes screenings for only $20 for both. Promise also will offer free blood pressure and body mass index (BMI) screenings. Brittany Hamm, clinic manager for Promise, said these are “important screenings” for people to help monitor their health. The health fair is being held in the morning because eight hours of fasting is preferred for the most accurate results for the screenings. People may drink water in advance of the screenings, however. Also at the health fair, Mike Inman, behavioral health consultant at Promise, and Pedro Ruiz, care coordinator/interpreter, will present information about behavioral and mental health as part of National Mental Health Awareness Month. They also give people the opportunity to complete brief depression and adverse childhood experience screenings. The screenings are optional and free. Personnel from Snap Fitness of Sioux Center will offer free fitness and nutrition education at the health fair. Everyone who participates in the health fair will have the opportunity to have their name entered into a drawing for a yearlong family membership to the Dordt College Recreation Center. The recreation center includes an indoor track; courts to play basketball, volleyball, soccer, tennis, wallyball and racquetball; a batting cage; an exercise/fitness room; weight rooms; and an aerobic dance room. Information also will be provided about colorectal cancer screenings, mammograms and breast cancer screenings, and sexually transmitted diseases screenings. 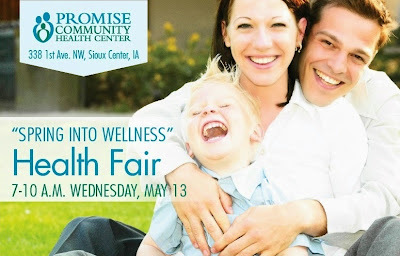 For more information about the “Spring into Wellness” Health Fair, call Promise at 712-722-1700. “Spring into Wellness” Evento de Salud será el miércoles, 13 de mayo, a las 7-10 am en Centro de Salud Comunitario Promesa (Promise Community Health Center) en Sioux Center. Puedes recibir exámenes del colesterol y diabetes por solamente $20 total. Es recomendado tener ocho horas de ayuno, pero agua está bien. Aptitud física y nutrición del cuerpo, por Snap Fitness (aquí en Sioux Center). Si vienes, tendrás la oportunidad de ganar un pase gratis para Dordt College Recreation Center, para toda su la familia (valor de $380 – el pase es donado por Dordt College). También recibirás información sobre el cuidado de la salud mental, exámenes para la detección de cáncer colorrectal, mamografías, y sobre enfermedades sexuales. Promise Community Health Center, establecido en Sioux Center, es el único Centro de Salud comunitario Calificado Federalmente en el noroeste de Iowa. Para obtener más información, visite www.promisechc.org/espanol/.